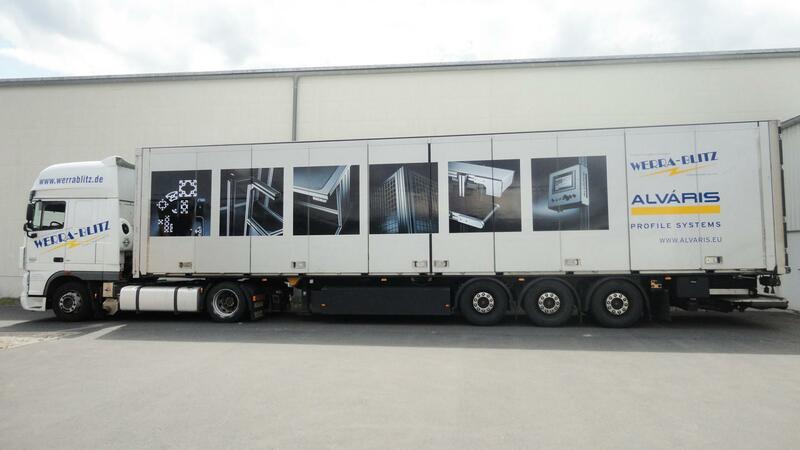 And recently touting the supplier of aluminum profiles and fastening technology prominently displayed on the Schedule trucks of various logistics companies in Austria and Germany. Obviously stand for the owner of Alvaris, Peter Thurnher and CEO Manfred Filzmaier, not only in terms of performance portfolio, the mark of innovation. So the new outdoor advertising was used as additional marketing activity to increase awareness of Alvaris internationally. The mobile eye should not only carry goods reliably, but set new promotional accents within the transport routes through targeted diversification. The attractive layout makes it also look good road colossus. The 20 m long truck brings the Alváris product areas street.